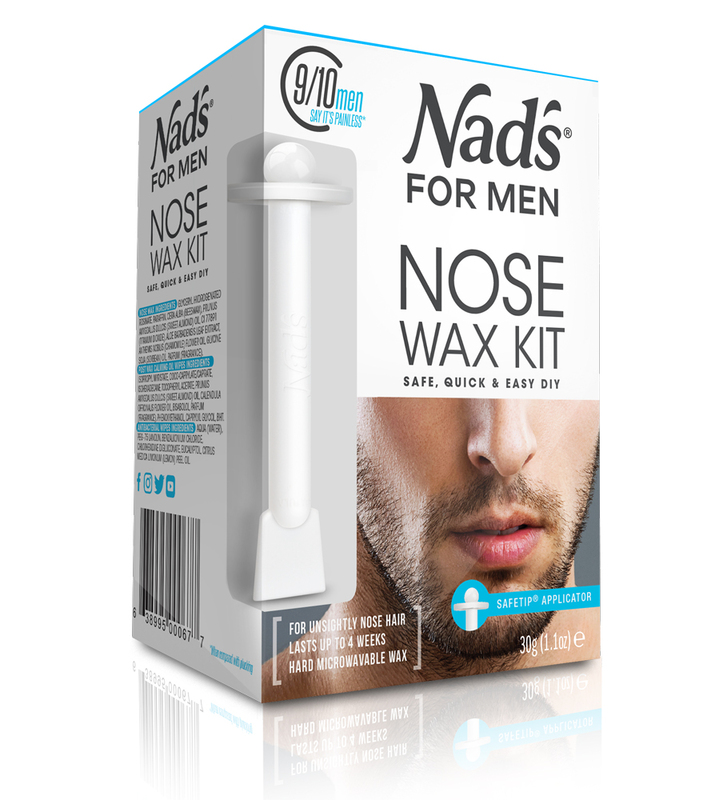 Nad’s for Men Nose Wax is a DIY nose hair waxing kit, removing unwanted hair in minutes and leaving the nostrils hair-free for up to four weeks. When coated with the soothing chamomile and aloe-enriched wax, the specially designed SafeTip™ applicator fits just inside the nose to remove only the long, visible hairs, leaving the important hair deep inside the nose undisturbed. In a little over a minute, the wax hardens to adhere to unwanted hair, and those embarrassing hairs are removed in one go.